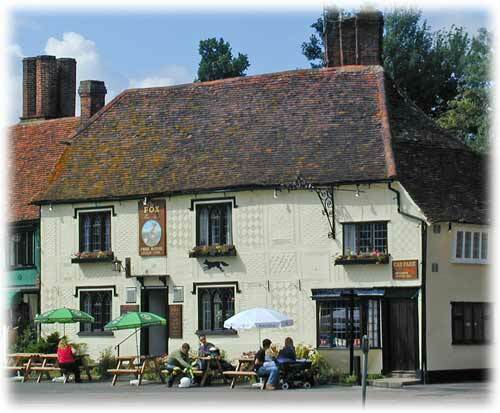 The Fox, down on the green and near the pond, was once a coaching inn. 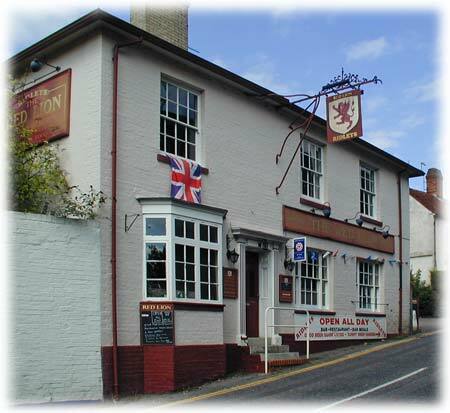 The Red Lion is opposite the Guildhall on the hill. Built in the 15th century as a private house and modified in 1823 it is one of many buildings in the area which combine Tudor and Georgian architecture. 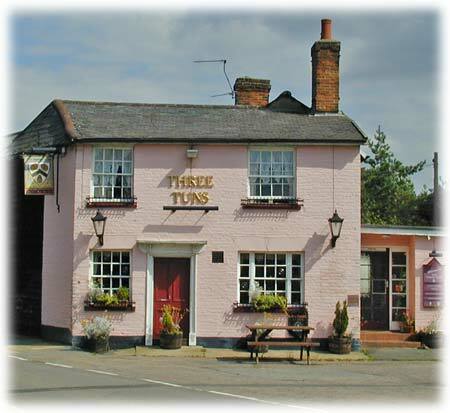 Further up the same road, and on the other side beyond the church, is the Three Tuns. At the bottom of the hill leading to the church was the Green Man, now a private residence. 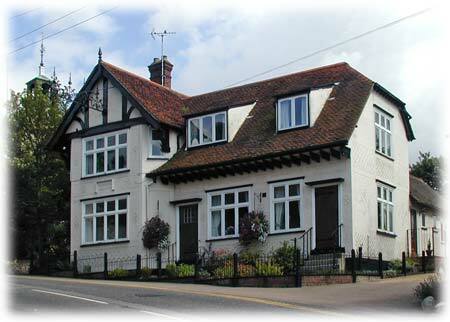 It was earlier called The Bell Inn and was renamed again as The Finch in its final years as a pub. It was built in the 1900s after a fire destroyed an earlier building. See the 'historic days' page for pictures of the original, before and after the fire. The photos on this page were taken in August 2002.